In recent decades, critical and theoretical debate in the field of culture and literature has called into question many literary categories, has re-discussed the literary canon, and has totally renovated critical approaches in the wake of major changes in western society such as the irruption of new cultural identities, the disruption of the well-established Euro-centric conception, and the need t… o establish new world visions.D. H. Lawrence has been a focus for critical debate since his early publications in the first decades of the 20th century. The force of his thought, his courageous challenge against the most important values of western industrial society, his rejection of England and its bourgeois values, his choice to live in exile, his never-ending quest for lost vital meanings, his open-mindedness in coming into contact with different worlds and cultures, and the revolutionary impact of his writing have all provided critics with important issues for discussion. Most of Lawrence's works are still being read and analysed through ever-new critical lenses and approaches. 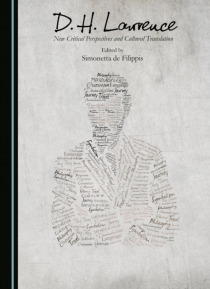 This volume brings together a selection of papers delivered at the 13th International D. H. Lawrence Conference, D. H. Lawrence: New Life, New Utterance, New Perspectives held in Gargnano in 2014, on Lake Garda: the place of Lawrence's first Italian sojourn, where he started a "e;new life"e; with Frieda and a new phase as a writer.The essays selected for Part I of this volume offer new readings of Lawrence's work and ideology through various theoretical and philosophical approaches, drawing comparisons with philosophers and thinkers such as Bataille, Darwin, Derrida, Heidegger, and Benjamin, among others. Part II focuses on translation, a concept which can be extended to cultural mediation, as it can be applied not only to the proper translation of texts from one language into another, but also to travel writing and to transcodification, as is the case of film versions of Lawrence's novels.